Discussion in 'Updates' started by CluelessKlutz, Feb 6, 2019. 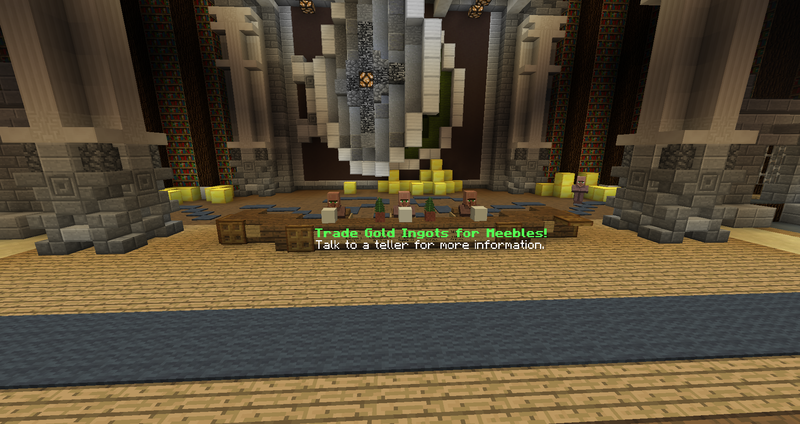 After more than 2 years in continuous operation, the Meepcraft Bank will be closing its doors. This mean you will no longer be able to sell gold to the bank. Understandably, this is a large change and will not take immediate effect. The bank will continue in operation for another 2 weeks before closing. Sell your gold now! OKNEM, minecraftsongs, riri30 and 12 others like this. Pmx728, Trexy, minecraftsongs and 9 others like this. Good move to keep a strong eco. Just trying out new things to mix it up. SuperDyl, boombox123, Muunkee and 1 other person like this. Toastie, evilalec555, Marshy_88 and 3 others like this. "oh, you used economic research and used supply and demand to successfully buy and sell products for profit? well i mined sand for an hour and i made 8x profit"
So taking a different approach and strides to attempt to spice things up is a negative? AdrianIsEpic, SuperDyl and _Peero_ like this. From what I've heard, they're doing this to hide potential dupers or people who gain mass wealth insanely fast in illegal ways from hiding their wealth and not causing suspicion. Still, there should probably just be a limit to how much you can buy a day instead. Limiting it doesn't really solve the problem. The point of the bank is to have a physical version of currency. Most people use it either to get money (selling gold from mining) or to save emergency funds. The second option only has a real purpose if you can buy and sell tons of gold at a time. "From what you heard" Translation: "From what the toxic players that think they know it all say". . .
Thats untrue. We just want to mix it up. Add other ways for gold to come to use, add other methods for external meeble storage, ect. Were just messing around with ideas. SuperDyl, GroovyGrevous, riri30 and 1 other person like this. Gold has been a weird item for a very long time, being the only item with a 1:1 buy/sell price to the admin shop. Instead it’d be much better to change things up with more interesting content than simply set prices. Klutch already had a bunch of interesting ideas to make gold something a little more unique than just pure storage. Deljikho and SuperDyl like this.